It was most certainly the year of the cucurbit—from an abundance of cucumbers to an avalanche of zucchini, to a mountain of melons, and finally, more pumpkins than we can possibly eat. 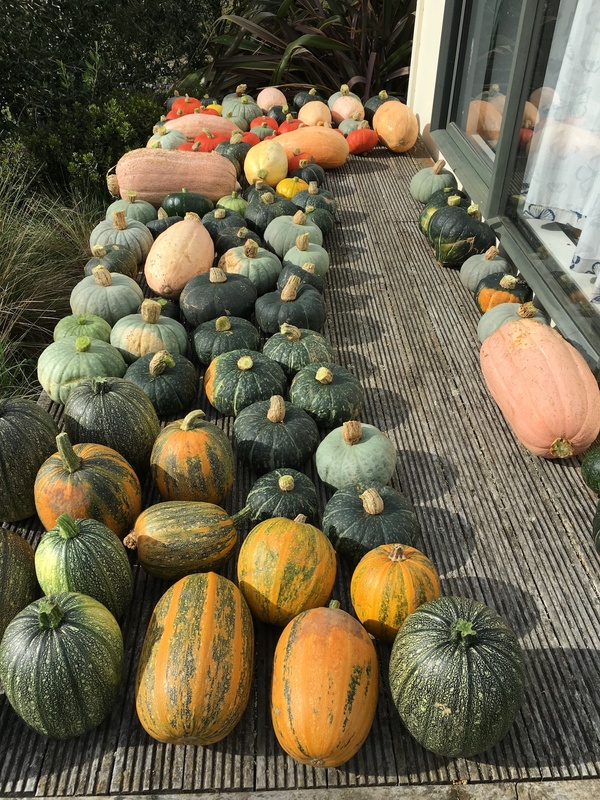 My daughter picked about three-quarters of the pumpkins over the weekend—the total came to exactly 100, some of which are 15 kg behemoths. That’s a lot of pumpkin. That’s eating pumpkin every three days for a year. That’s only three-quarters of the pumpkins from this year’s garden! Would you like to be visited by the Pumpkin Fairy?